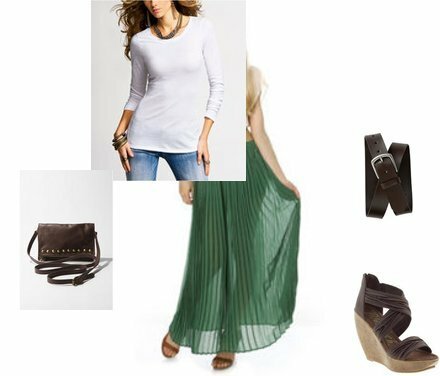 Michael Kors' green pleated maxi skirt retails for $1195 and is almost sold out on Net-A-Porter. I found a fantastic option for less at Lulu's which retails for a much more affordable $41. Click HERE if you're interested in purchasing - I also put together the MK runway look 4 less for you as well. Click on any image in that set with the exception of the skirt.